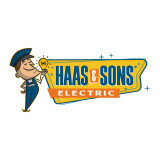 Electrical Connections LLC is Washington DC metro areas most trusted electricians. 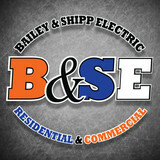 We specialize in residential electrical service and repairs. 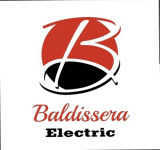 When you are in the need of a professional electrician to repair your breakers, lights, switches, plugs, or any electrical issues in your home we are the company to call. Our electricians can also upgrade your panel, install your flat screen TV’s, and install recessed lights. Call us today and talk to a live person to schedule a date and time that is convenient for you. Our technicians will Respect Your Time and be able to provide you with a quote and repair on the same day. Our technicians drive what we call our “Warehouse on Wheels” and are ready to work upon arrival and your approval. We save you time by having the right material and tools when we arrive to your home. All of your repairs will be completed by a background checked and experienced Professional Team Member. Each electrician will Respect Your Home while performing your service/repairs by using drop cloths, shoe covers, cleaning up after themselves, and installing the best parts your home deserves 100% of the time. We will provide you and your family the best guarantees in our industry and provide you with our 100% satisfaction guarantee. Wingfield Electrical & Control Service is a local and privately owned company. Our company offers a full range of residential and commercial electrical, heating and air conditioning services, offering energy costs saving solutions that will offset equipment cost in as little as a few years. Working with electricity isn’t generally a do-it-yourself kind of task. Small jobs, such as swapping out a lightbulb, are safe and easy enough, but intensive electrical work is better left to a professional Frederick electrician. When you consider the things that can go wrong, from fire to serious injury, hiring an electrical contractor seems like a wise investment. If you’re in need of a residential electrician in Frederick, MD to help get your household’s electricity in tiptop shape, read the following information to help you find the most qualified professional for your job. What do licensed Frederick electricians do? An electrical contractor plans, installs and repairs wiring in structures. He or she works closely with the home’s general contractor or remodeling contractor to determine the specific electrical needs for the project and to ensure that the wiring will meet Frederick, MD building codes. An electrical contractor’s job also includes installing and repairing fixtures, switches and other visible components of electrical systems. With today’s technological needs and advances, many electricians in Frederick, MD also are trained to install fiber optic and coaxial cables for electronic equipment. Certain electrical companies may design and install data systems and wire for security features such as alarms too. Some Frederick electrical contractors specialize in specific areas, such as HVAC, low-voltage appliances and systems and more, so be sure to ask about their training to see if it fits your project needs. 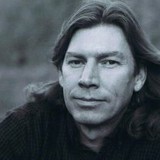 Find a certified Frederick electrician on Houzz. 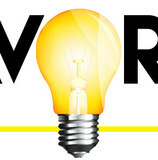 Narrow your search in the Professionals section of the website to Frederick, MD electrical contractors. Here are some related professionals and vendors to complement the work of electricians: Lighting Showrooms & Sales, General Contractors, Solar Energy Contractors, Heating & Cooling Sales & Repair.